After my first encounter with Isfahan (Khaju Bridge by night, remember) the city opened to me, slowly, building by building, site by site, just like a rose bud opens into a flower and slowly lets the world discover its inner most hidden petals, its deep heart. Isfahan is a city that at first did not tell me much. Of course, I was excited to arrive here and meet the family of my friend Sara, but the city itself, with it greyish sand-color buildings, not more than 2 or 3 floors in the center (restriction meant to protect the historical heritage of the city) did not speak to me. That is until, one day, Sara brought me to the Imam Square. Build in the 1600s during the Safavi dynasty, the Imam Square (now officially called Naqsh-e Jahan) is a huge place, having on its sides the royal palace of Ali Qapu, the entry to the Bazar and two mosques, the bigger Shah Mosque and the Sheikh Lotfallah Mosque. The Sheikh Lotfallah Mosque is the first mosque I ever entered into in my life. A rather small mosque, it was initially built for the private use of the shah’s wives. What I felt in this mosque … After going from the bright sun outside through a sinuous shadowy hallway, I found myself standing under a dome that was as grand and majestic, as soft and incredibly near, surrounding me form all sides like the arms of a mother. There was no space in that room that was separated from the dome, that was not under the force and the spell of the wonderfully entangled decoration of its walls. I walked slowly, very slowly, breathing and letting everything sink in. Opening. Opening my senses and opening myself to grasp all the beauty that was before me. I cannot pinpoint what impressed me so, I cannot tell you, this or that were the things that captured me – maybe another would even say that all this is nothing at all. But in that moment and in that place I was overwhelmed by the beauty, the magnificence, the colors, the never-ending circular shapes and lines in front of me. I whirled slowly a few times letting all the colors mingle – what an incredible experience should have been for the Sufi Dervishes to whirl under similar ceilings… High double-layer windows filtered the light and their shape seemed to change as I was walking around the room. As if to let you understand that in that moment you are no longer under the power of the omnipresent sun, but rather in another world, in another universe. The other mosque in the square, far bigger and more eye-catching, as well as the royal palace Ali Qapu, unveil that Persia of the seventeenth century, that wonderfully rich and mysterious Orient about which I was reading during my school years. And the capital of this Persia was Isfahan. 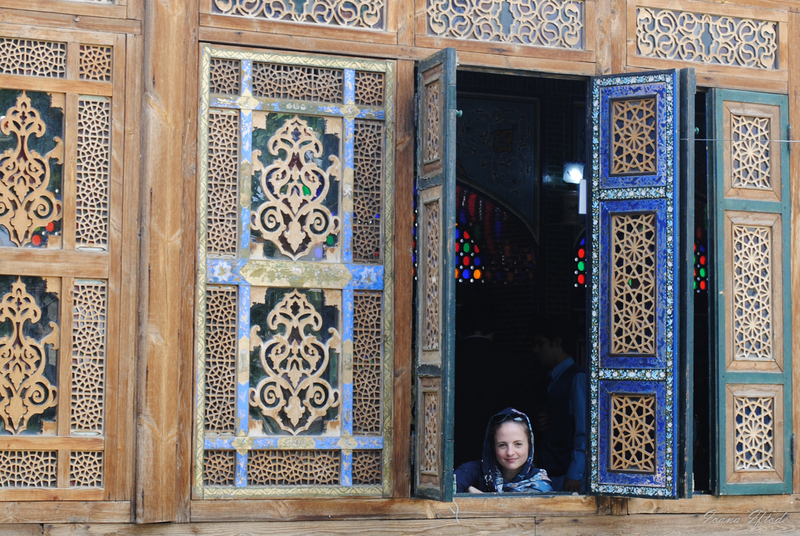 Isfahan – half of the world, as the Persian used to say. In between visits, Sara took me for lunch to a traditional Persian restaurant, where we ate sitting on wooden beds covered with carpets and well equipped with pillows. But about food and traditional restaurants I will tell you more in another post! 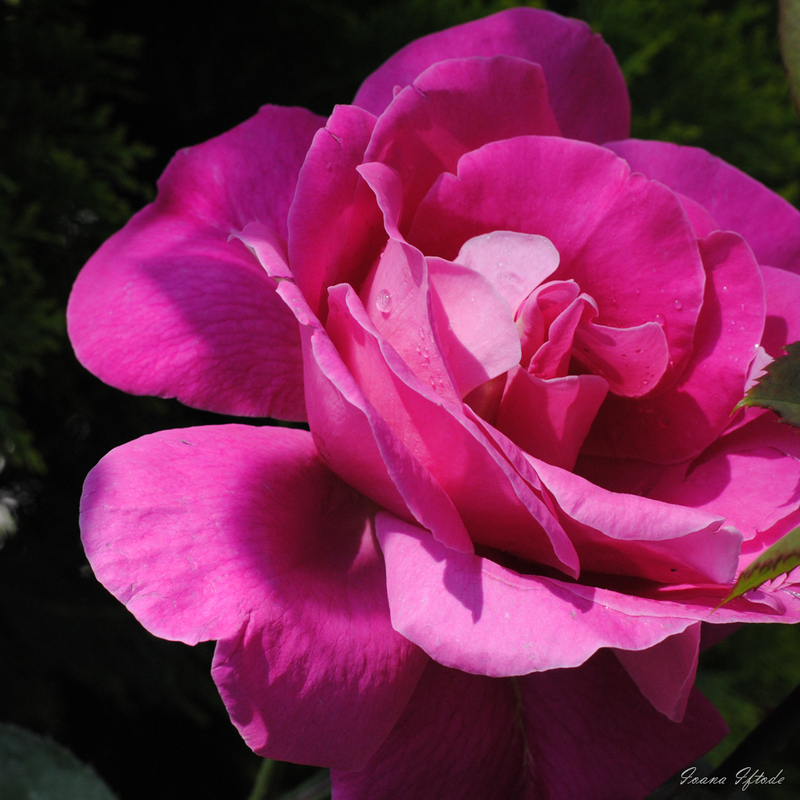 Until then, as the Persian say, hoda hafez – may God be your guardian! 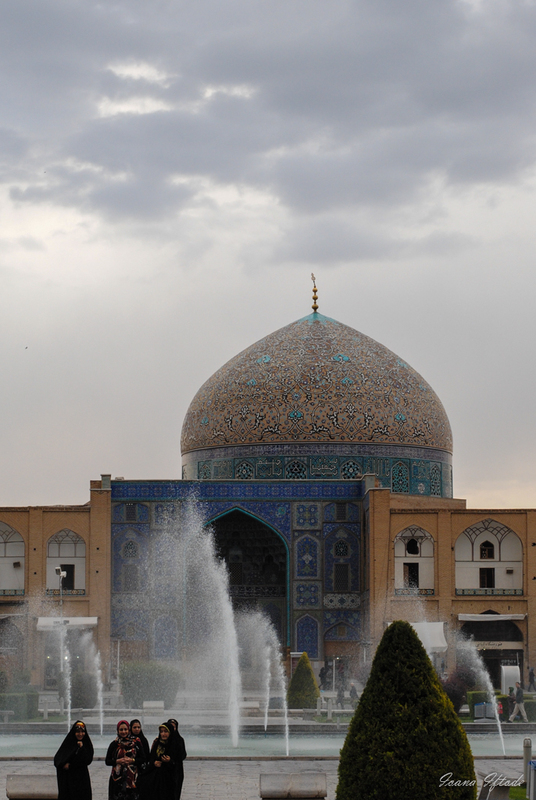 This entry was posted in Iran, Meditative, Places and tagged Imam square, Iran, Isfahan, mosque, travelling by Ioana Iftode. Bookmark the permalink.